Savannah is a historic small city near the coast of Georgia known for It’s manicured parks, horse-drawn carriages and antebellum architecture. It’s often a place where families go to visit and experience the slow pace of life in the south and tranquil downtown. What this city projects may be deceiving because it’s actually home to one of the busiest international ports in the east coast. 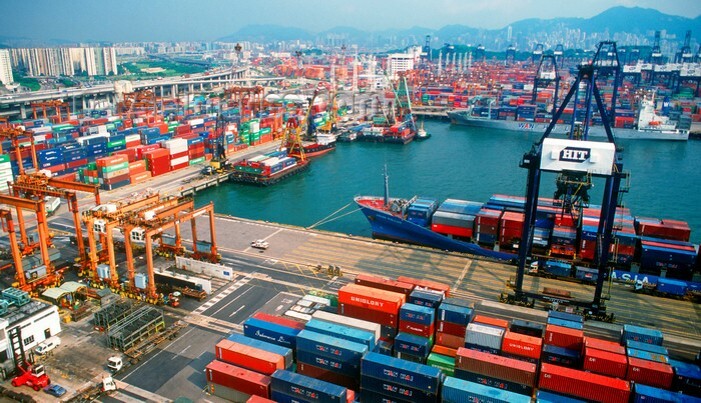 The port receives vessels from all over the world on a daily basis and is actually the largest single shipping container terminal in North America. 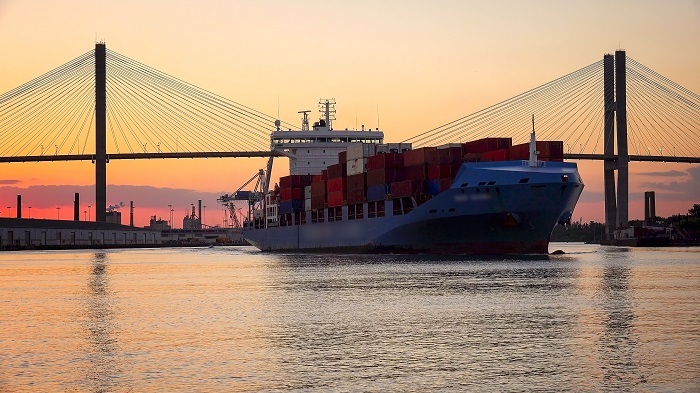 The port of Savannah is the 4th busiest port in the country with two railroad lines it connects with and nine deepwater berths that allow for easy loading and unloading and transportation of single shipping container units. 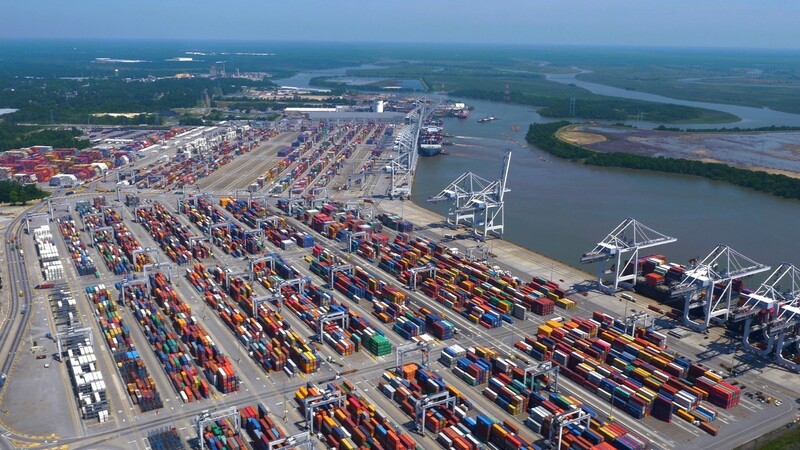 For being such a busy port its surprising to know the port is not located on the coast but actually 20 miles upstream from the Atlantic ocean via the Savannah river. The advantage of the location is calmer waters that are protected from the waves in the ocean and makes it easier to unload and load the intermodal shipping containers. Savannah Port — where it all happens. “Reefer” units as known in the industry are refrigerated shipping containers and port of Savannah boast the highest capacity of refrigerated units of any port on the east coast. 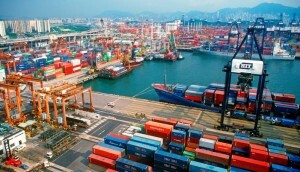 Due to the capacity the port handles 40% of the entire packaged poultry exports from the United States. 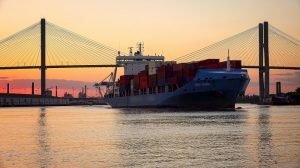 The port is one of the largest direct and indirect employers with over 350,000 jobs and does over $66 billion in sales every year contributing significantly to Georgia’s economy. In terms of imports, Savannah receives furniture more than any other product. Companies like Ikea and Pier 1 Imports have huge warehouses near the port and contribute to this statistic. Savannah is a “sleeping giant” with a lot of potential to keep growing and bring more business to the region. If you are in Georgia and looking to purchase or rent containers for personal or business use, contact our team at SHIPPED and learn more about what we can offer.